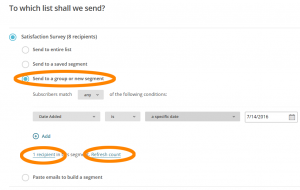 This how-to will show you how to send the existing Satisfaction Survey email to a new email recipient. 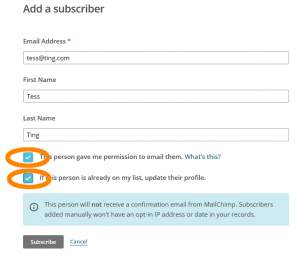 The first thing we’ll need to do is to add the new email address to your list. 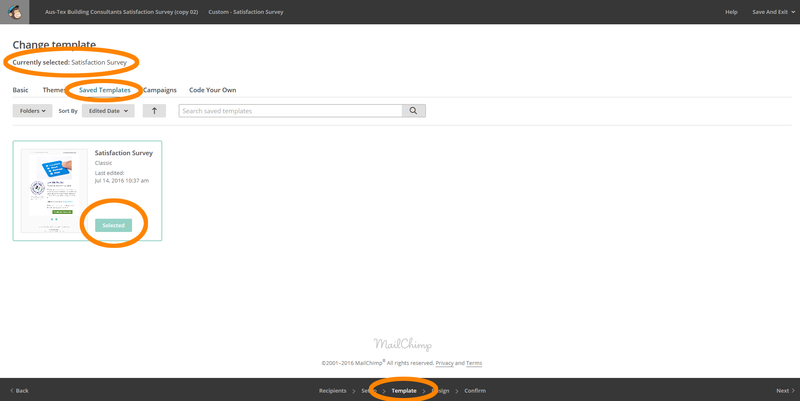 When logged into MailChimp, click on Lists, on the top navigation bar. At the right side of the Satisfaction Survey list, click on the “Add Subscriber” button. It’s the icon of the silhouette with a plus sign (+) next to it. Enter the client’s email address and First and Last Name. Make sure to check off the checkboxes for “This person gave me permission to email them” and “If this person is already on my list, update their profile.” Click the “Subscribe” button. Now we’ll send out the email. 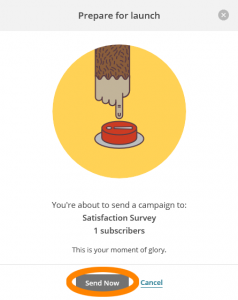 We do this by replicating an existing email (MailChimp calls these “Campaigns”). 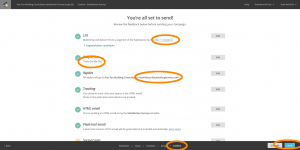 On the top navigation bar, click on Campaigns. Find the Aus-Tex Building Consultants Satisfaction Survey campaign in the list (if this isn’t the first time you’re doing this, there may be more than one. If possible, choose the original (it won’t have “(copy ##) at the end of the campaign name). 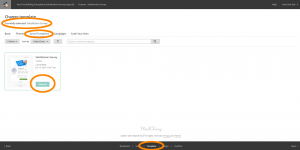 At the right of the list, click on the ▼ button to get a drop-down, and the click on “Replicate”. You’ll now be taken to a page when you will choose the email address who will receive this email. You can’t manually enter email addresses, but you can create a rule to filter only the email address(es) you want to send the survey to. 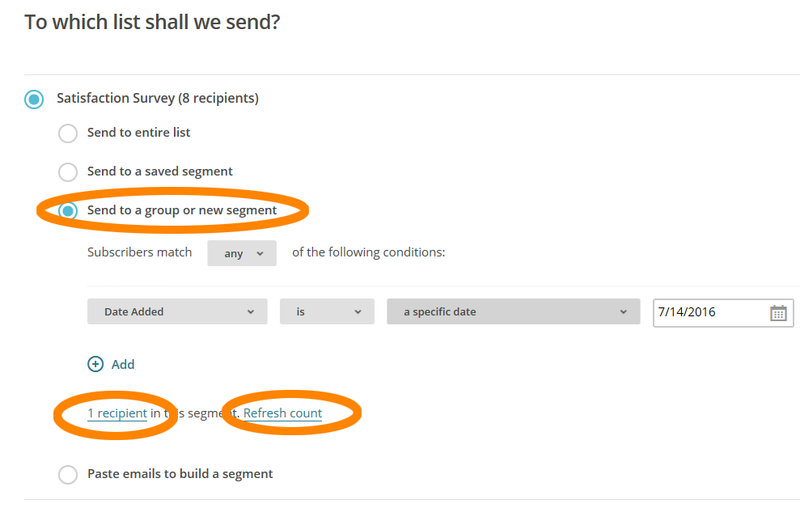 Choose the option for Send to a group or new segment. The most likely way you’ll be able to choose the intended email address is to have the conditions “Date Added is a specific date: (enter today’s date)”. 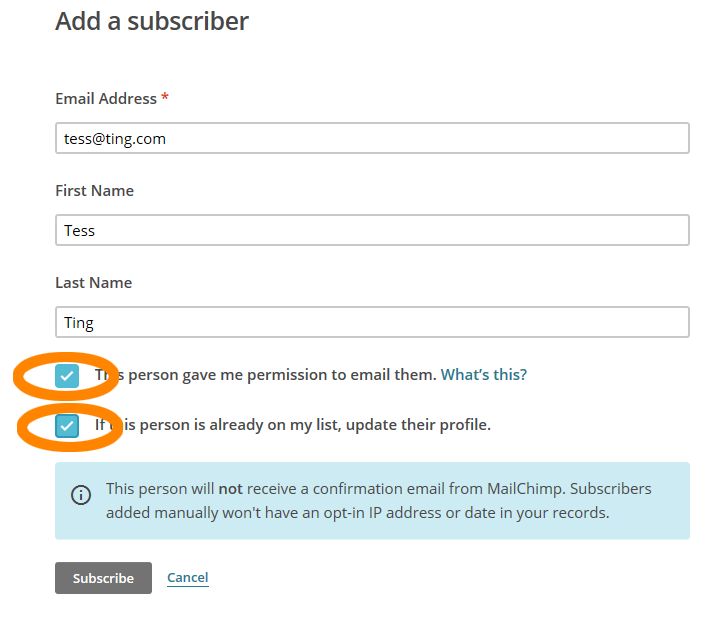 Under the rule conditions, click on Refresh Count, and it will tell you how many email addresses match your rule conditions. You can click on the X recipients link to see which email addresses match the rule. Make sure that the email address shown here is email you’re intending to send the survey to. On the bottom navigation bar, click on Templates, to make sure the Satisfaction Survey template is selected. It should say “Currently Selected: Satisfaction Survey” towards the top of the page. You can confirm this by click on Saved Templates and checking that the Satisfaction Survey says selected. If it isn’t, you may have replicated an incorrect Campaign in step 2. If so, that’s OK – just click on the Chimp’s face on the left of the top navigation bar to go back to the main dashboard, and start again from step 2. •In the List section, click on the X Recipients link to make sure that we’re sending to the intended email address(es). •In the Subject Line section, it should read “How Did We Do?”. You can edit this is you’d like, but if the subject line here shows something other than “How Did We Do?,” it may mean that we chose the wrong campaign to replicate. Unless you edited this subject line yourself manually, you’ll be best served to go back to the main dashboard (by clicking on the chimp’s face on the left of the top navigation bar) and starting over from Step 2. •In the Replies section, check that all replies go to the correct email address. Unless you manually changed this setting yourself, the email address should be newsletter@<yourdomain>.com. If everything looks good, click on the Send button on the right of the bottom navigation bar. In the modal that pops up, click on the Send Now button.